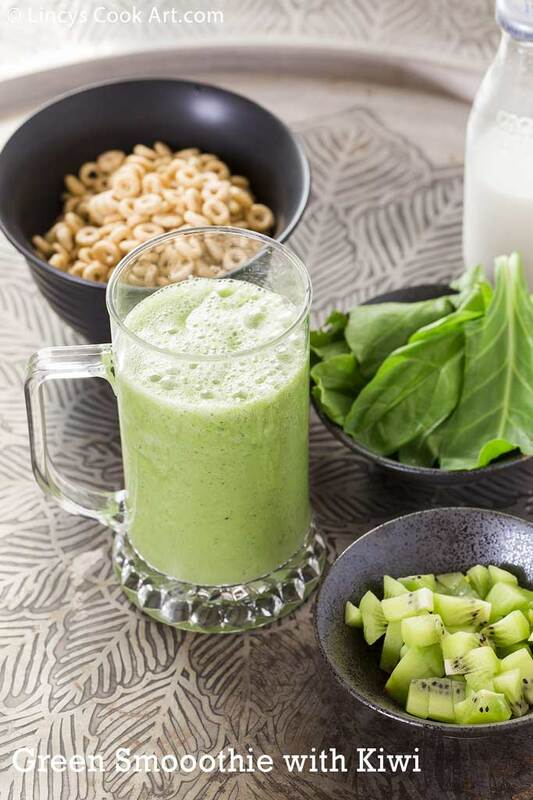 Spinach and Kiwi Smoothie| Green Smoothie with Kiwi - I have mentioned already in my last green smoothie post i have tried various green smoothie combinations in a week and posted some of them. This one also i made that week and was waiting to post. Vishu preparations and the celebrations delayed this post. 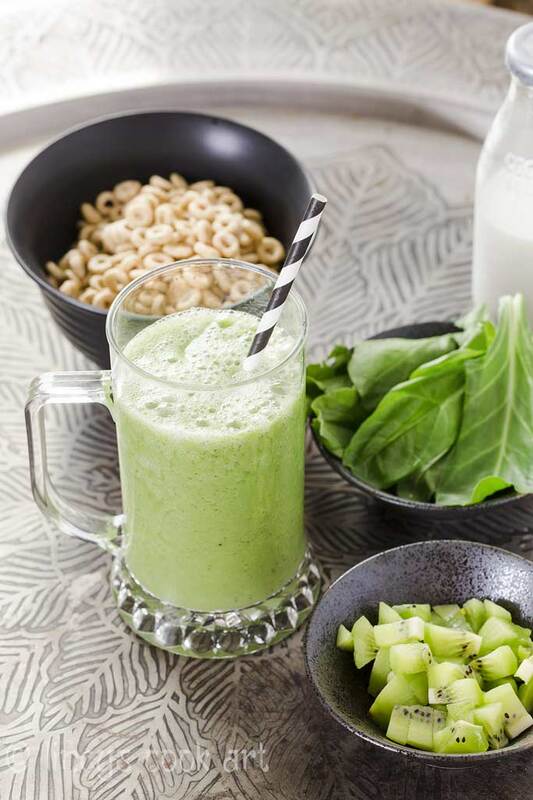 Like the other green smoothies this is also a yummy nutritious smoothie which could be prepared in a jiffy. I love the ripe kiwi it looks beautiful as well as tastes great. I love to use this fruit as a topping for my parfaits, smoothie, overnight oats, cereals etc. I have already shared some of kiwi based drinks such as Kiwi mojito mocktail, Kiwi Lemonade in blog do check and prepare them too and stay healthy. Coarsely powder the almonds with pestle and mortar; or soak them overnight and peel them and directly add them. Remove the stalk of the spinach and peel the kiwi and roughly chop them. 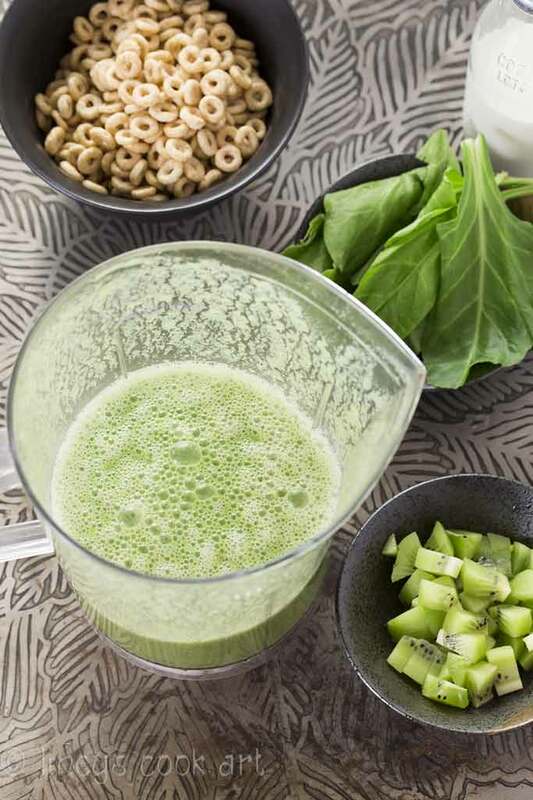 In a blender jar add the spinach, kiwi, banana, powdered almonds, honey, yogurt (if adding), water and ice cubes. Blend on high till frothy creamy consistency. Note: Adjust the sweetness as per your taste. Do not use sour yogurt for this recipe as the kiwi also has the sourness. Adding banana is optional but it adds nice creamy texture and sweetness to the smoothie.